Thank you for selecting a Canon EOS camera. users to create the ultimate professional photographic tool. focusing points for wide-area coverage. 2. Improved focus prediction and object tracking performance. each focusing point, and 2.3% fine spot metering. 5. Enhanced multiple-zone TTL flash sensor plus built-in flash exposure compensation control up to ±3 steps in 1/3-step increments. 6. Silent drive mechanism for super-quiet film rewinding. * BP-E1 and Power Drive Booster E1 must be purchased separately in North America. **The EOS-1 N RS is scheduled for availability in Spring 1995.
sure it is operating correctly. your EOS-1 N. We therefore suggest the use of Canon EF lenses and accessories. by the use of incompatible products may void its warranty. operations are enclosed in boxes marked with the following symbols. 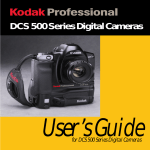 : Helpful hints for using your camera productively and with maximum efficiency. and Precautions section on page 6. • The Canon EOS-1 N has been designed for increased resistance to moisture. cloth. If dropped in water, contact an authorized Canon service facility. contacts can cause corrosion and affect proper camera operation. avoid damaging the electronic contacts on the lens mount. • Condensation is a problem when bringing cold equipment into a warm place. on the outside of the bag. camera body or lens with any type of cleaner containing organic solvents. When further cleaning is necessary, consult your nearest Canon service center. are not recommended for the shutter curtain.
. This does not affect the camera’s shooting capacity (number of film rolls possible per battery). expense in case of out of warranty term. when the temperature returns to normal. low, replace the battery with a new one. 2. If the indicator shows a sufficient battery level, remove the battery, wipe the battery terminals and reload it. 3. Release the shutter once. be examined by an authorized Canon service facility. • Wipe the battery terminals with a clean, dry cloth to ensure proper contact. in an inside pocket to keep it warm until use. panel never actually appears like this. * Not available on the EOS-1 N RS. as the basic operation of the camera. model and page 96 for the EOS-1 N HS model and the EOS-1 N RS model. be removed from the grip. 2 Slide the grip down to remove. press the battery ejector lever. going on a trip or embarking on an important shooting assignment. 1 Set the main switch to “A”. displayed in the LCD panel. Have a new spare battery handy. (blinking): Refer to page 7.
f/1.4 USM lens and 24-exposure film. Values in parentheses are for 36-exposure film. for the EOS-1 N HS model and page 100 for the EOS-1 N RS model. may be inserted backwards. Remove the battery and reinsert it correctly. Exposure will be okay as long as the shutter releases. when not using the camera. button during transport or storage. time lag of 0.006 sec. appears in the LCD panel. provided where necessary throughout this instruction book. switch is set to “M”. rotating part of the lens. release button and turn counterclockwise. on a stable surface to prevent damage to the electronic contacts. glasses. The diopter can be adjusted within a range of –3~+1 dpt. grip sections) of the eyecup frame. the eyecup frame up to remove. 4 Reattach the eyecup to the camera. range, use one of the optionally available Dioptric Adjustment Lenses. step) to activate focusing and metering, and press completely (to the second step) to release the shutter and make the exposure. lights up in the viewfinder (in Oneshot AF mode). light up in AI Servo AF mode. they do not move when you take the picture. The shutter button stroke (height) can be changed according to your preference by taking the camera to an authorized Canon service center (modification will be at the owner's expense). DX code on the film cartridge. it reaches the orange mark. aligning the film to prevent slack. excess back into the cartridge. accidentally with your finger or the tip of the film. the back cover until it clicks shut. its original sealed package until immediately prior to loading it into the camera. The film automatically rewinds at the end of the roll. back cover and remove the film. easy to try out various picture compositions. 1 Turn on the main switch. focusing points, then press the shutter button halfway to focus it. • If the in-focus indicator blinks, the autofocus system cannot focus the subject and the shutter will not release. If a shutter speed of 30” and the maximum aperture value blink in the display, the subject is too dark. Switch to flash photography, referring to “V. Using Flash” on page 76.
subject is too bright. Attach a neutral density (ND) filter to the lens. panel and viewfinder displays remain active for six seconds. change the set shutter speed and aperture value combination while maintaining the same exposure. desired shutter speed/aperture value combination is displayed. down the frames in descending order: 9, 8 ... 2, 1.
the exposure in real time. desired, or you can let the camera select the focusing point for you (automatic focusing selection mode). the focusing point indicator is displayed in the LCD panel. left center ↔ center ↔ right center ↔ far right. • The focus lock function is available only in One-shot AF mode. (Refer to “2. button halfway to focus the subject. The exposure settings are determined when the subject is focused. If the subject brightness changes after you lock the focus, the subject may not be properly exposed. For information on different types of metering, refer to page 37. AE lock button activates autofocusing. Two types of autofocus are available: One-shot AF and AI Servo AF. Select the mode most appropriate for the subject and shooting situation. 2 Release the AF mode selector. Use this mode with stationary subjects. manual focusing (refer to “3. Difficult Subjects for Autofocus” on page 34). In AI Servo AF mode, the viewfinder’s in-focus indicator does not light up and the beeper does not beep even when the subject is in focus. The in-focus indicator blinks if the subject cannot be focused. through Custom Function 4-2 (refer to pages 86–87). focusing and lights red in the viewfinder. focusing points. The focusing point does not light up. lock the focus using the AE lock button. Sensor) AF sensor equipped with five focusing points as shown below. using the focus lock function. picture using the focus lock function. and manually focus the subject. Use manual focusing when the subject is difficult to focus with the camera’s autofocus system, or when you need to control the focus for alternative focus effects. when the subject is in focus. mode best suited for each subject. to determine the best exposure setting. metering is based on the central focusing point. the second and consecutive exposures. ” does not light in the viewfinder. on the focusing point in use. backlit subjects and other situations where there is extremely strong contrast between the subject and background. the viewfinder and LCD panel. exposure remains locked for six seconds. again renews the locked exposure setting. using partial metering or fine spot metering. Place the subject in the center of the viewfinder when activating AE lock. in the viewfinder in real-time. is locked only during continuous shooting. be input in 1/2-stop increments. 1 Set the quick control dial switch to . or while the six-second timer is operating. LCD panel’s exposure level indicator. respectively by exposure compensation amounts above and below the triangle index at the center of the scale. to prevent accidental alteration of the setting. Exposure compensation can also be carried out using the exposure compensation button ( ) together with the main dial. is activated) to set the desired exposure compensation amount. while pressing the exposure compensation button. three exposures in sequence while shifting the exposure for each picture. sequence: underexposure → correct (metered) exposure → overexposure. which produces noticeably different results with even small exposure variations. and shooting mode selectors while turning the main dial. and film winding mode selector. • AEB appears in the LCD panel. after you release the buttons. a bracketing amount of ±1-1/3 stops. the viewfinder’s exposure level indicator. blinks continuously until all three exposures are completed. by the exposure level indicator. even in continuous exposure mode. but the viewfinder’s metering level indicator is not active. Film winding automatically stops after three frames. the main switch is set to “ ”. changed even when shifting the standard (metered) exposure. Auto exposure bracketing cannot be used in bulb mode or when using flash. Auto exposure bracketing cannot be set on the EOS-1 N RS in RS mode. how to select the appropriate mode for different subjects. the aperture according to the lighting conditions. proper exposure will be obtained. will be underexposed. Turn the main dial to a slower shutter speed so the aperture display stops blinking. will be overexposed. Turn the main dial to a faster shutter speed so the aperture display stops blinking. shutter speed according to the lighting conditions. When a shutter speed of 30” blinks in the display, the image will be underexposed. When a shutter speed of 8000 blinks in the display, the image will be overexposed. Apertures are set in 1/3-stop increments. Larger numbers indicate smaller lens apertures. available depends on the lens in use. • Depth-of-field AE is not possible when the lens’ focus mode switch is set to “M”. Make sure the focus mode switch is set to “AF”. 1 Select the desired focusing point. “DEP” appears in the LCD panel. (point 1), then press the shutter button halfway. light up in the viewfinder, remove your finger from the shutter button. (point 2), then press the shutter button halfway again. Depth-of-Field AE [Dep] is not available on the EOS-1 N RS. aperture and focus for the designated depth of field. in both the viewfinder and LCD panel. ” and the aperture value. • The exposure is determined immediately before the shutter is released. If the aperture value blinks, the desired depth of field cannot be obtained. Use a wideangle lens or move farther from the subject and repeat steps 4 through 6.
be underexposed and Depth-of-Field AE cannot be carried out. When using a zoom lens, do not zoom the lens until you finish taking the picture. same result as using flash in Program AE mode. USM), be sure to set it to the maximum range. If the camera sets a slow shutter speed, use a tripod to prevent camera shake. shooting mode selector, the AF mode selector or the metering mode selector. For greater depth of field, we recommend using a wide-angle lens. telephoto lens for best effect. when using a hand-held exposure meter. 3 Set the quick control dial switch to . dial to the desired aperture. and turning the main dial. functions of the main dial and quick control dial. input in 1-stop or 1/2-stop increments. and 11 (refer to page 92). for pictures of night scenes and fireworks displays. up to 120 seconds using all three bars. This camera’s bulb exposure operation is designed to consume very little power, realizing virtually no drain on the battery. LCD panel illumination is turned off during bulb exposure operation. Optional accessory Command Back E1 features a long-release timer for timed exposures up to 23 hours, 59 minutes, 59 seconds, adjustable in 1-second increments. multiple exposures with the main dial. “ ” appears in the frame counter. number of preset multiple exposures. • To cancel, turn to the left. the desired number of exposures. cause subject images to shift slightly out of alignment. advances to the next frame and multiple exposure mode is canceled. multiple exposures in the display to “1”. frame counter to a blank display. ” blinks in the LCD panel during multiple exposure photography. exposure using exposure compensation. See “7. Exposure Compensation” on page 42.
required depends on the shooting conditions and should be determined by prior testing. wish to set a film speed other than the DX-coded film speed. • Set the film speed after loading the film. automatic film speed setting range is ISO 25~5000. speed is displayed in the LCD panel. metering mode selector/flash exposure compensation button to complete the film speed setting. The manually-set film speed is automatically canceled when new DX-coded film is loaded. Two film winding modes are available: single exposure mode and continuous exposure mode. One-shot AF and evaluative metering mode). the shutter button is held pressed. • The current film winding mode is displayed in the LCD selector. is displayed in the LCD panel. shutter halfway or wait until the sixsecond timer elapses. automatically switches gears to reduce the winding speed and minimize battery drain. battery level (see page 15) and replace the battery or prepare a new battery as indicated.
) to continue the rewinding operation. capacity may return when it returns to normal temperature. • Custom Function Nos. F-1 and F-2 can be used in combination. and Resetting Custom Functions” on page 82. Silent rewinding starts automatically at the end of the roll. Rewinding does not start automatically at the end of the roll. the way into the cartridge. seconds from when you press the shutter button. When using the selftimer, place the camera on a tripod or a steady surface. close-up pictures or duplicate photos. pose the picture and press the shutter button halfway to focus the subject and set the exposure. 4 Press the shutter button completely. faster two seconds before the picture is taken. cause the camera to misfocus. when using the self-timer or making long time exposures. the opposite direction to open. sharpness when taking close-up photos or using super-telephoto lenses. on how to set the custom function. to swing the mirror up. • The mirror will stay up for 30 seconds. to avoid burning the shutter curtain. avoid burning the shutter curtain. the film winding mode (single exposure or continuous exposure). delay of 10 seconds (in 10-second self-timer mode) or 2 seconds (in 2-second selftimer mode). The timer function of the optionally available Command Back E1 cannot be used in mirror-up mode. shutter button while the self-timer is operating, but no picture is actually taken. on the lens. Use a deep red filter to maximize the infrared effect. • When shooting with infrared film, use a lens equipped with a distance scale window. • For black-and-white and color infrared photography, read the instructions provided with the film for proper use. camera to the subject is 3 m / 10 ft.
front and rear of the infrared index. focus adjustment when using black-andwhite infrared film. These lenses are therefore not equipped with an infrared index. Exposure setting is locked when the depth-of-field preview button is pressed. seconds after a picture is taken. You can keep the LCD panel illuminated longer than 6 seconds by pressing any operation button again while the illumination timer is activated. The LCD panel cannot be illuminated during bulb exposures. remains at the current setting. possible from the camera side. one of the side points. when shooting at night or indoors. These units feature a built-in AF auxiliary light function that assists autofocus in dark situations. points. Other EZ Speedlites' AF auxiliary light works with only the center focusing point. The 480EG does not emit an AF auxiliary light. The aperture values displayed on the camera and speedlite LCD panels may sometimes differ. However, the exposure will be correct. When using flash in AI Servo AF mode, the flash unit’s AF auxiliary light will not function. In situations requiring use of the AF auxiliary light, switch to One-shot AF mode. light output so as not to overexpose the subject. You can turn off the automatic flash output reduction control function for stronglybacklit subjects which need extra illumination from the flash. be set in 1/2-stop increments. and the “–” side indicates underexposure compensation. repeat step 2 to return the flash exposure compensation amount to 0.
button and focusing point selector. unit, the settings on the flash unit have priority and override the camera setting. the Canon Off-camera Shoe Cords and Canon multiple flash accessories connected to the camera by TTL Hot Shoe Adapters 2 and 3. MLo. TTL automatic flash exposure is possible. Canon Speedlites other than those mentioned above can be used in manual mode. units at up to 1/250 sec. and with studio strobes at up to 1/125 sec. screw to prevent accidental disconnection. shutter speeds up to 1/250 sec. • TTL automatic flash control is not possible. and may result in damage to your EOS camera. 1 Set the main switch to “A” or “ ”. sequence to the right of the “–3” position. LCD panel to the original display. function button to change the number in the LCD panel to “0”. of a camera’s rewind would cause disruption and be frowned upon. rewound automatically or in mid-roll. Leaves the film leader outside the cartridge after rewinding. sec. with the back cover open. Film speed set manually. (DX code is new roll is loaded. • Pressing film rewind button activates highspeed rewind. when shutter button is pressed halfway. option lets the photographer temporarily stop the focus. • AE lock is not possible when “2” is set. depth of field and exposure. Shutter speed and aperture value set in wide flexibility to satisfy various shoot1-stop increments, and exposure com- ing styles. pensation, flash exposure compensation and AEB step amounts set in 1/3stop increments. ring and shifting the focus after autofocusing is completed. mode switch to “M” is possible. exchanged or film is loaded or rewound. mode selectors + main dial operation. camera (EOS-1 or EOS 5•A2/A2E). when the 6-second metering timer is activatServo AF mode. To set the aperture during exposure comAF mode. No beeping when the subject is in focus. Beeps when the subject is in focus. • In the RS mode, there is no beeping. aperture value settings are carried out as shown in the following table. attached to improve holding stability. • Battery Pack BP-E1 is compatible with both the EOS-1 N and the EOS-1. the battery magazine in place. Camera is powered from the AAsize alkaline-manganese or NiCd batteries housed in the battery magazine. initial high voltage may cause damage to the product. (optional) can be attached to improve holding stability. are marked with the AE lock button indication “ ”. • To re-install the battery magazine, perform the reverse procedure. loading batteries into the EOS-1 N RS. To use the vertical shutter button and AE lock button set the vertical control switch to the ON position (red dot showing). second as long as the shutter button is held pressed. Drive Booster E1 that has a “ ”symbol printed on the AE lock button. downward to remove from the camera. you capture the decisive moment more easily. • While looking through the viewfinder, you can confirm whether the flash is synchronized. • You can notice any camera shake during the moment of exposure. body. Therefore, the battery magazine cannot be replaced with the GR-E1 normal grip or the BP-E1 size AA battery pack. button, turn on the ON/OFF switch. (1) One Shot autofocus will be set. * Al Servo autofocus cannot be set. can be turned on or off. speed as during continuous shooting. shooting will continue at the speeds shown in the table below. * At shutter speeds 1/1000 sec. or faster. and 24-exposure film. Figures in parentheses indicate the number of 36-exposure rolls. • Filmless camera operations and autofocus operations will reduce the above figures. released. This is only the shutter's rear curtain positioning itself. really dirty, consult your nearest Canon Service Center. film. Be sure to cover the eyepiece with the eyepiece shutter. reduced amount of light reaching the film due to the pellicle mirror. the film due to the pellicle mirror. holding the fixed pellicle mirror in place. lock with the shutter button pressed halfway) and the RS mode is used, allow the autofocus operation to be completed before pressing the shutter button halfway. the AE lock button is pressed. the autofocus operation, the aperture will stop down after focusing is achieved. ISO rating. For ISO 64 film, it will be 4 frames/sec. In the RS mode, AEB cannot be used. MUST BE RECYCLED OR DISPOSED OF PROPERLY. RBRC RECYCLING SYSTEM IS AVAILABLE IN THE US ONLY. The battery is inserted Reload the battery correctupside down. Nothing appears in the The battery is exhausted. rectly. (The film transport reload it correctly. switch is not set to . switch is set to M.
in the camera. (The film and load a new roll. The camera is being used The battery capacity quickin a cold environment. ly depleted due to the cold. gone some type of mal- the camera and reload it. a malfunction in the camera. nearest Canon service center for diagnosis and repair. 0.72 × (–1 dpt, with 50mm lens at infinity). with adjustment range of –3 ~ +1 dpt (eyepoint: 20 mm). Interchangeable (8 types available); standard screen: EcCII. Center. Type Ec-R installed as standard equipment. Possible, by operation of depth-of-field preview button. metering, partial metering (covers approx. 9% of the central picture area), fine spot metering (covers approx. be used with self-timer for delayed 3-sequence exposure. RS In the RS mode, AEB cannot be set. one-shot AF mode with evaluative metering. evaluative metering, AE locks when focusing is achieved. Selected automatically by camera or manually by user. occurs and the shutter release is enabled. but blinks at 8 Hz when autofocusing is impossible. RS In the RS mode, Al Servo autofocus cannot be set. lenses having maximum aperture of f/5.6 or larger). during exposure and continuous shooting. EV 0 ~ 18 (ISO 100). Vertical-travel, focal plane shutter with all speeds electronically controlled. 1/8000 ~ 30 sec. (in 1/3-stop increments) and bulb. Maximum X-sync speed: 1/250 sec. starts 0.006 sec. after the shutter button is pressed down fully. when back cover is closed. Automatic rewind at end of roll using built-in motor. (Rewind speed with 24-exp. film: approx. 5 sec; with 36exp. film: approx. 8 sec. ); mid-roll rewind possible. Rewind noise: Normal mode: 59 dB; Silent mode: 48 dB. * (1) and (2) can be used at the same time. automatically sets the shutter speed to 1/250 sec. linked to focusing points, (14) flash output control. achieved in the A mode. value, film speed, battery condition and exposure compensation. 3-pin remote control socket provided. All data based on Canon’s Standard Test Method. Subject to change without notice. 6505 Blue Lagoon Drive, Suite 325, Miami, FL33126 U.S.A.